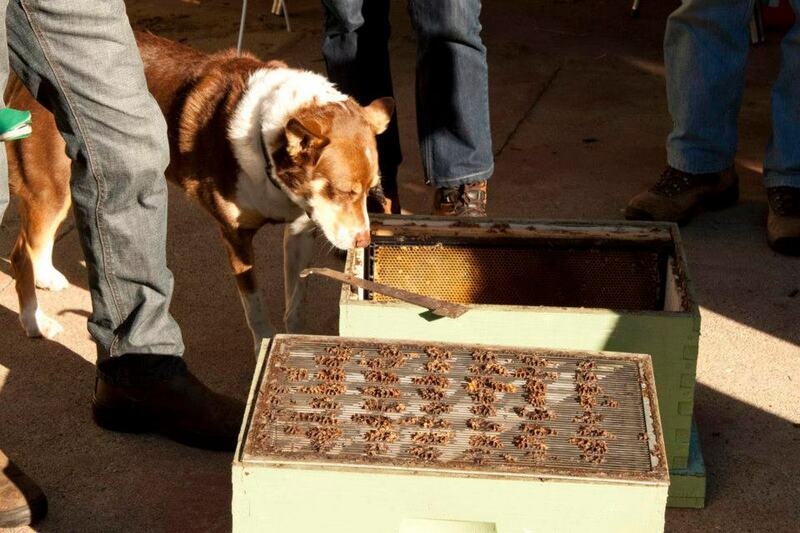 The latest meet of the Kitchen Gardener’s Society was all about keeping bees in the backyard. It was a lovely day, and more than one bee arrived to try to feed on the lovely cupcakes someone brought. 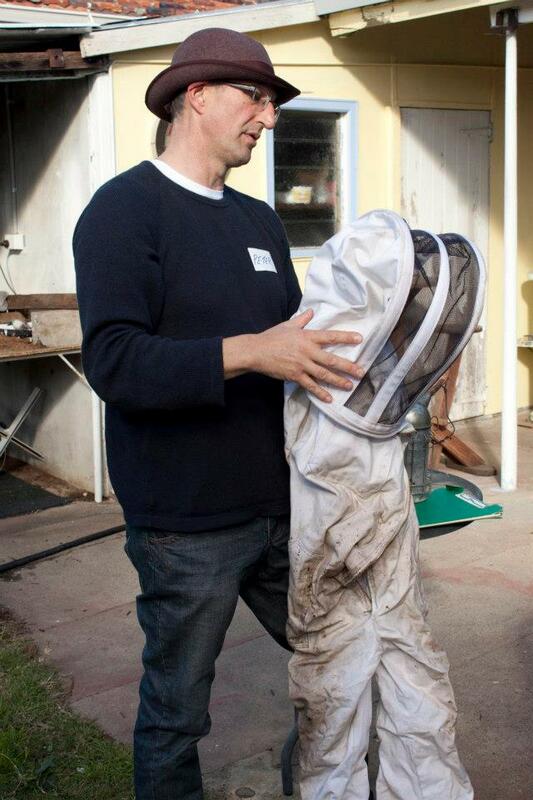 For those that couldn’t make it, here’s a few tips I picked up from our bee keeper pro Peter Vedeniapine. Honey of course! But they can also provide wax, pollen and more. Plus they’re vital for pollination. And it also looks rather satisfying. a bee hive (8 or 10 frame, full or shallow depth, 2 boxes minimum). Peter’s advice was to buy a flatpack from Guilfoyle’s (contact below) and build it yourself ~$180. Apparently Bees prefer the wooden frames, plus avoids plastic! Wire queen excluder is better. There are two main ways to start a hive. Collect a swarm of wild bees or buy a queen. Collecting a ready-made swarm sounds good and it’s free, but you have to keep in mind, they could be more aggressive than bred bees. If you purchase a queen from Guilfoyle’s or a breeder, you’ll also need to buy some frames of honey and brood cells to get them on their way. Or if you’re lucky, you might have a friend who could give them too you. Purchase and hire of bee equipment, along with some advice available from Guilfoyle’s in Midland. When choosing a spot for your hive, make sure the flight path (opening) wont be in the way of garden access. Ideally face the entrance NE, so the sun wakes them up. It can help to have some protection on the West face to keep them cool in summer, but not essential, bees are pretty hardy. Calm bees mean a happy bee keeper! 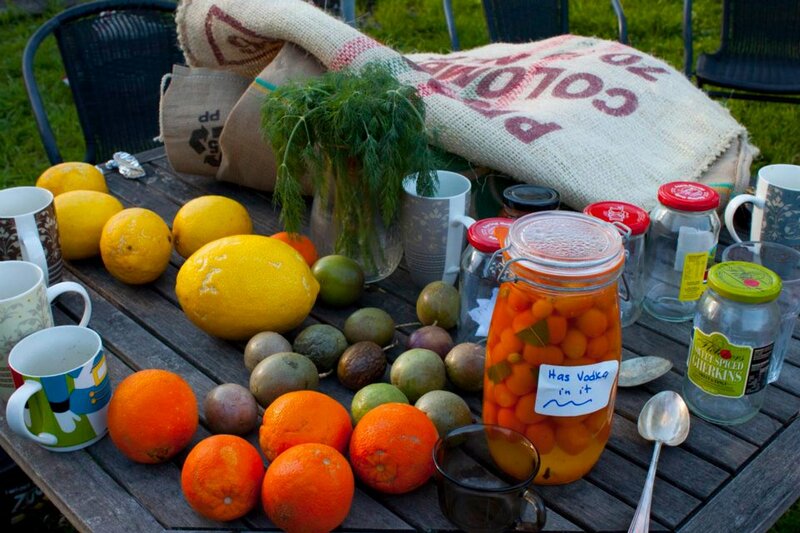 This entry was posted in Flora & Fauna, Food and tagged Bees, DIY gardening, Kitchen Gardeners. Bookmark the permalink.